Purchased several of your 1/2 zip style shirts in the past, always were fantastic. They were the 50/50 cotton poly blend. The newer 60/40 carton poly blend is so stiff, very uncomfortable an several washings didn’t help then. 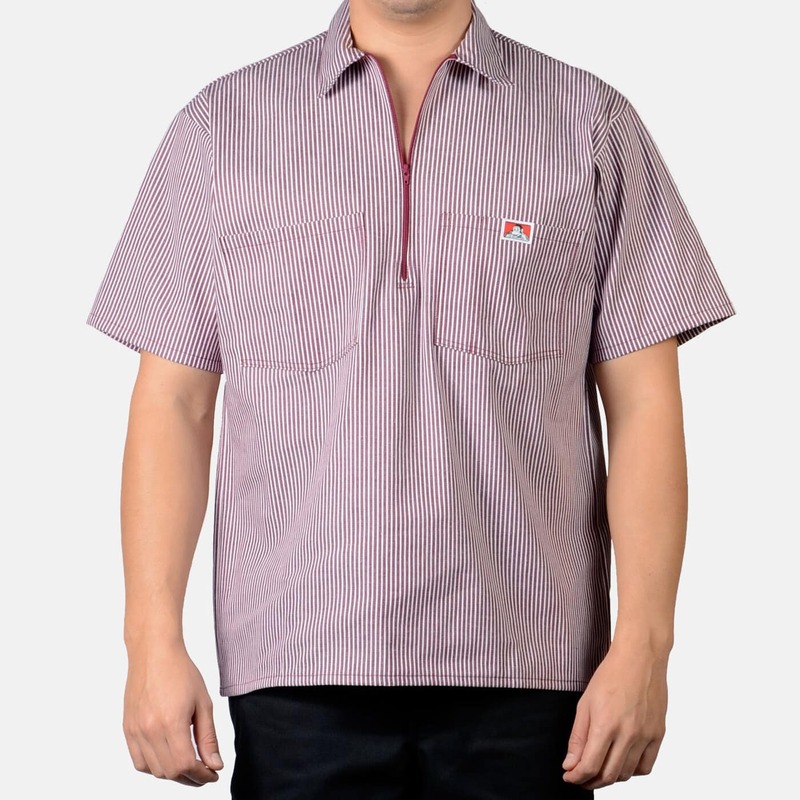 Any style shirts left in 50/50 fabric content? Hi, we suggest you continue to wear and wash them. Rest assured that they will soften. 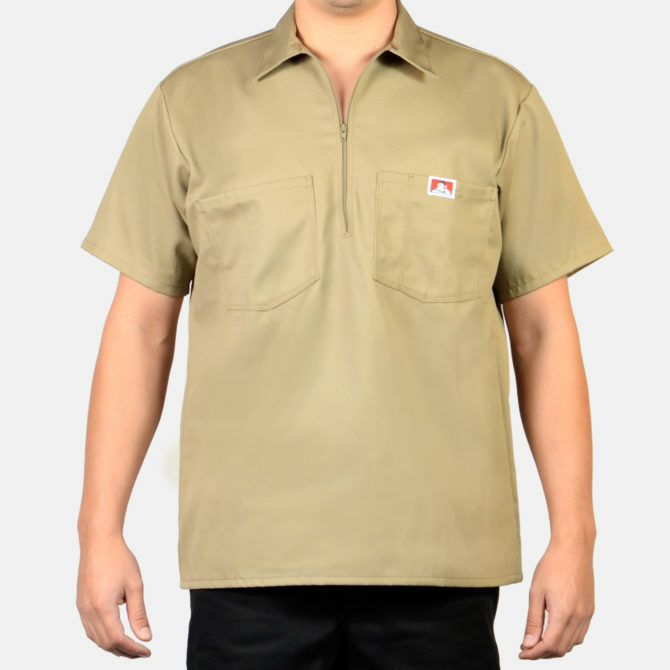 Where can I look to find 4x & 5x short sleeve 1/2 zipper shirts. It seems the largest size is 3x on your website. However I have bitten in the stores. Are they just out of stock? What can I do to get 4 & 5x??? 4XL & 5XL are produced in solid – black, charcoal and navy. Stripe – hickory only (like the “railroad engineer” kind of stripe. Oops! Made a mistake! That should be “zipper”! About a year ago I went to the closet in my bedroom and found 4 or 5 stripe Ben Davis short sleeve 1/2 sipper work shirts I use to wear. They were in mint condition. I now wear them all the time and they look like new! Oh! I also have one in solid blue. Been trying to order the stripe short sleeve half zip in Navy and Grey in Small for months now. Are you guys going to be restocking soon? We do not make those ins size small, sorry for the confusion. What are the measurements for size M? Hello their I was wondering if you guys have a size xl in a button up short sleeve? Any color would be fine. I bought a medium but its a bit big on me so I’ll try out a small next time. Do you know when you will get more of the hickory color in small? Will or can u guys make children size clothes down to infants your true Ben Davis fans would love to dress our kids like us?? ?